The material and content on this site are owned by iConnectExpansion by Trace Hobson. The original work of Transformational Presence was created and is owned, by Alan Seale and the Center for Transformational Presence. 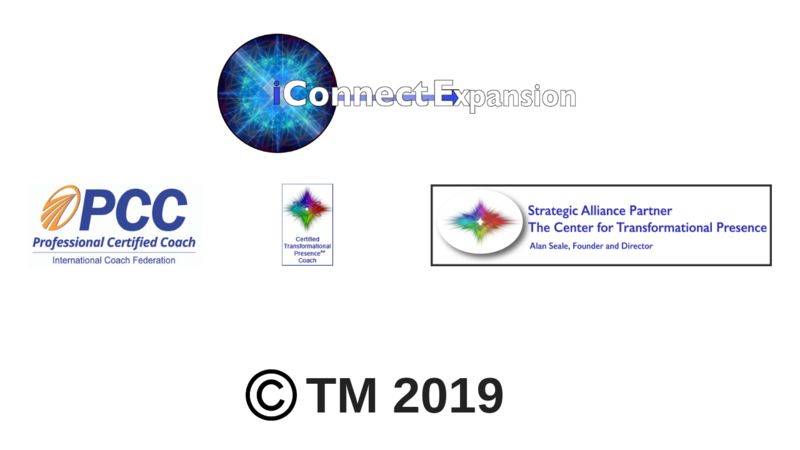 iConnectExpansion by Trace Hobson is a Strategic Alliance Partner of Alan Seale and the Center for Transformational Presence. The excerpts of Alan in the videos, the branding, and any other Transformational Presence material is used in conjunction with the Global Strategic Alliance Agreement between iConnectExpansion (Trace Hobson) and The Center for Transformational Presence (Alan Seale). Diana's photography is simply amazing. She took the shots of the homepage of me as well as the ones that are on the free training page, the ways to work with me, as well as the page that I created for coaches. Many may not know this about Alan but he also has an eye for photography! Alan took the picture that is on the grow your work page of the Karnak Temple pillars in Luxor. This has been quite a project to build this site with all of the pages, products, courses, emails, forms, opt-ins etc. If you see a picture or a piece of content that you feel needs to be sourced in any way please let me know!